Interacting with notifications on AirDroid desktop apps? So I've just set up AirDroid (premium) with the desktop apps on both my Windows and OS X boxes, and the notification section seems to be missing certain abilities. On the popup notifications, I have "dismiss", "block", and sometimes extra buttons when the real Android-side notification has extra options available (like "mark as read"). That's all fine. No trash can, my device isn't identified at the top, etc. I believe the "Mirror notifications" toggle corresponds to blocking, but there is no obvious way to perform any other action. Is something going wrong with my installation specifically? Am I actually meant to be able to perform notification dismissal and other actions ("mark as read", "stop alarm", etc.) from the desktop app, as I can from the little popup notifications? 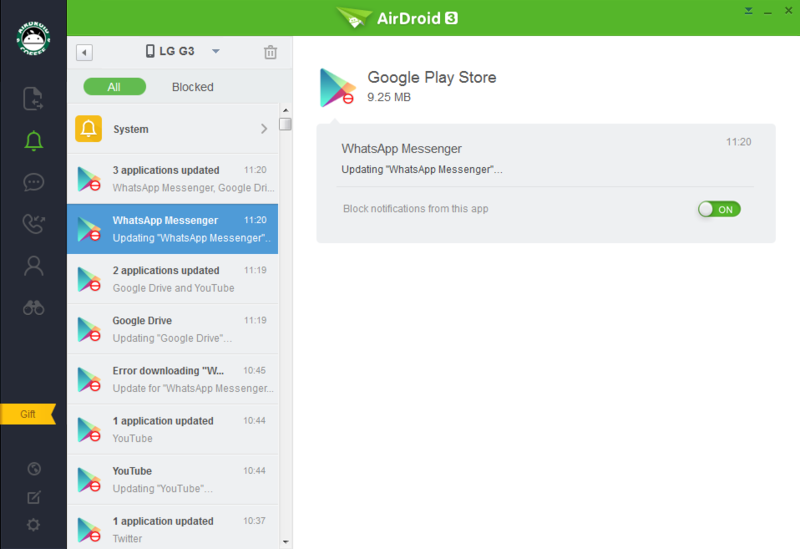 Re: Interacting with notifications on AirDroid desktop apps? Sorry for any misunderstanding this has caused. The user interaction had been updated. 2. 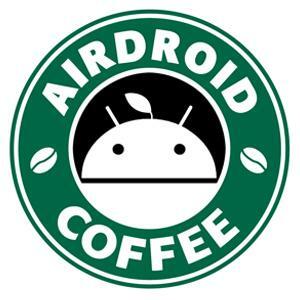 If you connect several devices to your AirDroid account, the current device you're using will be listed above, if there's only one device connected, the device model won't be listed. If you have any other questions, pls feel free to let me know.